Singapore Freebies: KOOLFEVER: Free Trial Samples Giveaway!! KOOLFEVER: Free Trial Samples Giveaway!! 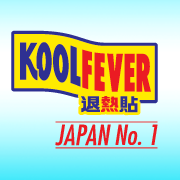 KOOLFEVER, Japan’s best selling fever relief pad was initially developed to provide effective and convenient relief for children suffering from a fever. The popularity of our product has since encouraged us to develop a range of fever relief pads for babies and adults. Through extensive testing, research and the use of technological advancements, KOOLFEVER fever relief pads now bring quick, effective relief and an enhanced feeling of well-being. Drypers: Free Trial Samples Giveaway! !